​This wonderful group of Latvian women brought forward into these times the mystery, beauty, healing and power of the runes. So ethical and positive. 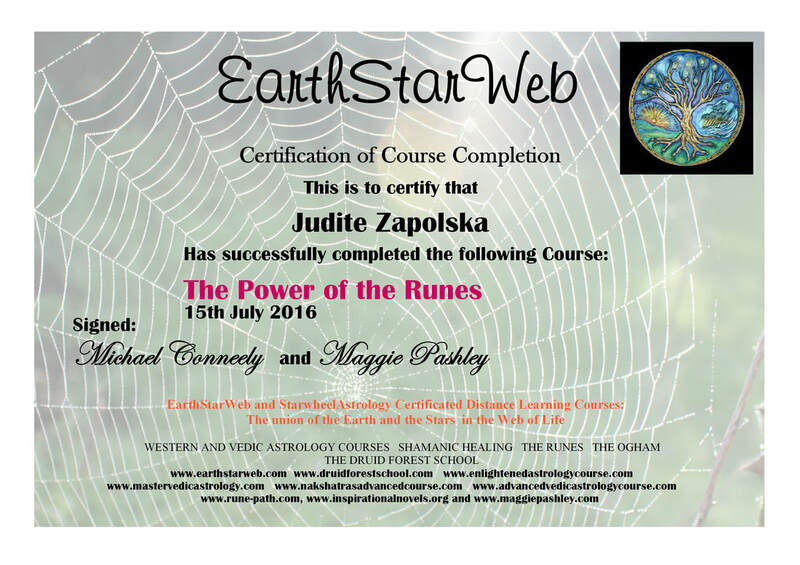 How does the Runes Course work? ​You get an audio recording download for each Rune. The first audio offers information as to how the Rune was anciently understood and its meaning in divination. 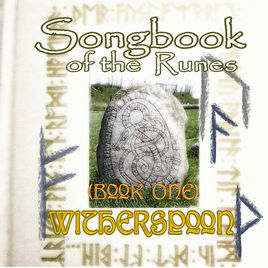 The second audio then guides you through a journey to drumming about the meaning of the rune as a facet of your life and secondly how to use that rune for transforming that facet of your life. The great thing is that you correspond with me after each of your journeys discussing how you got on, and also how your spiritual life path is unfolding. I then reply to you. This correspondence is completely personal and individual to you. The Course is Certificated. Dear Mr. Conneely, Thanks for your mail, just came back from the Sierra, over there I own a couple of properties, which I have conditioned for the shelter of all kind of animals, specially dogs. My wife Marisela whom unfortunately has joined the Gods before me this last August and I, had always planned to do this for the Animals, that to us have more values than humans, if you can call them that; here in Mexico and specially in the rural areas there is absolutely no conscience regarding the Animals or Nature, so with much Pleasure and Love make that mission our small contribution to poor much in need Midhgardhr. We are fashion designers, and own as well a store here in Tequisquiapan, Queretaro called BERKANA where we sell our designs, actually all are Marisela's designs, I just keep the store, and 20% of it goes to the Animals. We don't have a site or information just yet since we just began with this project, and really rather spend those funds and time on the Animals than publicity, but we have a friend that has the same passion, and is helping the Animals in finding Loving homes, and a couple of vets that help in as well with medication and food discounts, you know, they really eat better than I do, and that makes me more happy. Me: Basically, I keep the store and take care of Animals, and at the first opportunity I pick up a book regarding RUNES of course and try to get lost in their realms. There is where your RUNE course and Journeys kick in, especially in the Sierra where there is only Nature and you. Unfortunately you may still see at times an Orc or two, but nothing compare to a town or city. Music wise I like the group WardRuna and all epic you can find, but my favourite and true music is Nature’s talk, where the trees dance with the wind call, followed by the river flowing and all the Animals start to tune in. 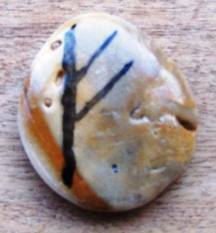 'Fehu is a rune that is associated with wealth and abundance in all its forms. 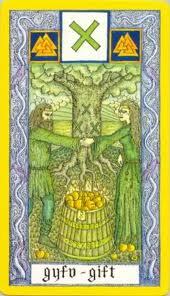 Financial abundance is of course associated with ones job or career and if this brings job satisfaction this will lead to happiness. 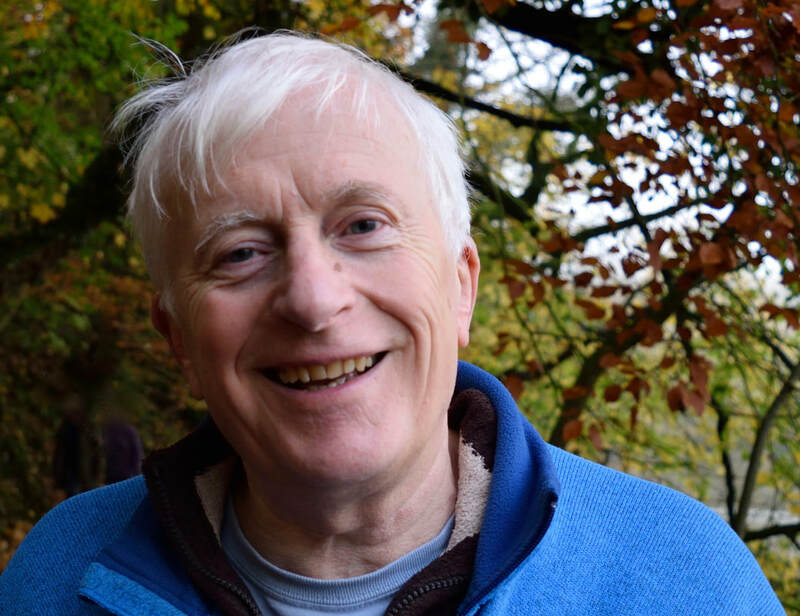 Happiness then breeds a sense of well-being and good health not only physical but psychological and spiritual. Good health is also a form of abundance. Gyfu is the 7th Rune of the Futhark, the Old English Runes Alphabet. Gyfu or Gebo is it is also called, means a gift. It is followed by the 8th Rune, Wunjo, the rune of Joy. We worked with the rune Gyfu by Rune Stance, by Rune chanting called Galdr and by Rune journeying. We decided that at one level the Rune Gyfu is about giving gifts. We must give hospitality and be able to accept it in return. But we must be careful not to become over-dependent on the gifts of others and we must not give away our substance. When we did transformative work with the Rune Gyfu, we were counselled not to be a black dragon and sit meanly on our hoard. We were urged to be generous. We were urged not to be ‘takers’ heartless people who take and move on, take and move on. And those with a drug-dependency like consciousness that take and take and take, and want everything for nothing. But we are also advised not to 'over-give'. Some of us in the group over-give because we were not given value as children, and we have not yet undone that script. So we can buy friendship. But some of us (not in this group) over-give because we want to possess and drain people: Irish tales abound of fey-type cold-hearted Queens who glamour bards and poets and artists so as to drain them of their music – and their hearts! And the bards for their part are driven to be drained because they lust for musical prowess and yearn for audience adulation. There’s a very good book about this one called ‘The Lammas Field’ by Catherine Fisher. The Rune Gyfu’s highest meaning is spiritual marriage. We told the wonderful Germanic myth about Sigurd (Sigurdhr, or Siegfried in German myth). In the Volsunga Saga, after slaying the evil dragon, Fafnir, Sigurd mounts his otherworld steed Grani, pierces a ring of flames and ascends to the mountain Hindarfjell where he awakens the beautiful sleeping Valkyrie (Valkyrja) maiden, Sigrdrifa (Brynhildr), and they exchange vows and she gives him runic wisdom in exchange: ecstasy, serenity, magical power and sacred marriage. Sigurd gave his ring to Brunhilde and promised to return to marry her. Tragically, though, the couple are destined to be severed by trickery and Fate, as Wagner’s opera Nibelungen (The Ring of the Nibelung) recounts, but theirs was true sacred marriage.